i b i k e l o n d o n: Let the children play! 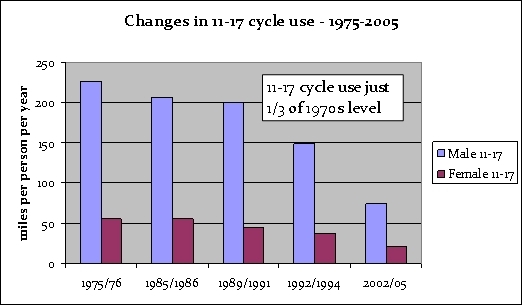 Not only are more children than ever before being driven to school, but the CTC's BikeClub - which aims to get young people on two wheels - have found consistently falling levels of cycling amongst children. Sometimes we cycle campaigners get a bit over-excited about the purported 'cycling revolution' taking place in the UK at the moment, but to me it seems there's not much to shout about just because a couple of extra middle aged men are riding their bikes more when kids across the country are not riding their bikes at all. As Whitney Houston once warbled, they are our future, after all. I think you are missing tthe point with this post about "middle aged" cyclists - we are the ones with the children. I know that since I have taken up cycling my kids are using there own bikes more and I am setting an example to them. Now they ask me to take them cycling with me at the weekend. You can't build Rome in a day - but the more parents that cyle the more the kids will follow. The Playing Out project is great and is much needed in Bristol. we have a street party in our road once a year and close it off making it a wonderful play space and social area for all ages. The rest of the year it's a long straight 40mph rat run (even though it's a 20mph zone) that runs parallel to the nearby main street which is chock full of commuters making their way in and out of town, through the "local shopping area" which is also slowly dieing as it's so unpleasant to shop there and waiting times at pedestrian lights are weighted towards commuter cars keeping flowing. ©Some content on this blog, including text and photographs, may be the copyright of the author, or where specified the work of others.